The Summer success of the Lionesses has done wonders to increase interest in women's football and if it hasn't done now, Thursday's semi final clash with the Netherlands is sure to pique even the most cynical of fan's interest. Win lose or draw tomorrow, plaudits and focus will go to the England Head Coach Mark Sampson, the same coach that got them to the 2015 World Cup semi final. Interest will inevitably be switched on to trying to learn how he has got his football team to the semi finals of a major tournament twice in succession, something no England manager has done since Sir Alf Ramsey. Sampson has managed to create a world class team through his leadership qualities and tactical acumen all of which have been documented quite widely in recent weeks. However I'd like to turn your attention to two specific areas that have helped create an immense team cohesion that can be transferred not only to the men's team but also to teams in business; trust and meticulous psychological preparation. He has shown loyalty and belief in those he knows he can rely on, by selecting 19 of his squad of 23 from his team of 2015. He knew that his squad needed to be fitter for tournament play and that was one of his learning points from the World Cup. However, the fitness increase would not be an issue as he bucked the trend and named his squad four months early to allow for extra fitness training and tactical preparation. This was also to give his players confidence that he had trust in them which is now paying dividends on the pitch as the team cohesion, typified by the defensive wall put up by the Lionesses in the 85th minute against the French on Sunday is getting them over huge obstacles and winning them games. The second area I feel has helped with his team cohesion is the preparation he has encouraged his players to do; to not only appreciate their colleagues' strengths and weaknesses but also to consider how they will react under the stress of the occasion and the pressure that will inevitably come. Psychological awareness for the individual and collective is something Sampson invests heavily in. The benefits of emotional management have been seen in many elite high-performing teams, from the All Blacks to the gold winning GB Hockey Team as identified by Maddie Hinch in the article below. If his players have an awareness of the reactions of another within the team and know how to manage it, this will bring the team together and make the unit a lot more resilient when it is pushed and tested. I, for one, will be sitting down in front of the TV on Thursday night with the same anticipation and excitement I have for England's male team in the latter stages of a major tournament. 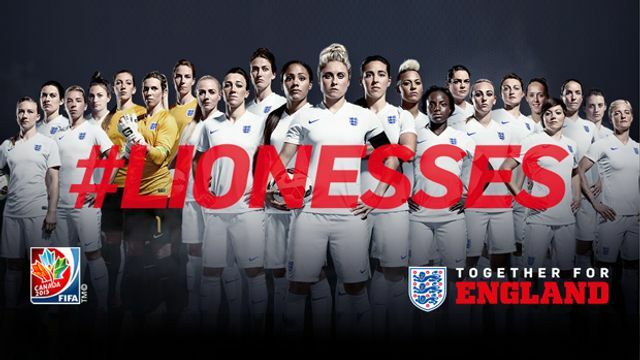 However, having only experienced that twice in my life, I feel I will be doing it a lot more often in support of the Lionesses in the coming years. To find out more about the Applied Influence Group, please visit our website. Football movie Bend It Like Beckham is now 15 years old, but it's still inspiring female footballers. Find out what our #Lionesses get up to the day before a game. @carlytelford1 is taking over @Snapchat!